In 1863 the burgeoning railroad company in which younger brother Charles Crocker had invested recruited Edwin Bryant Crocker as its attorney. When Charles resigned his position on the Central Pacific board to oversee construction, E. B. took his place. Crocker was the last of the "Big Five" Associates to come aboard the Central Pacific. 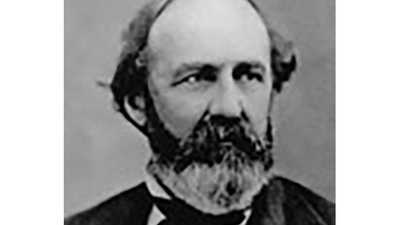 Joining Collis Huntington, Mark Hopkins, Leland Stanford, and Charley, E. B. completed the tight-knit partnership that would build the Central Pacific railroad. 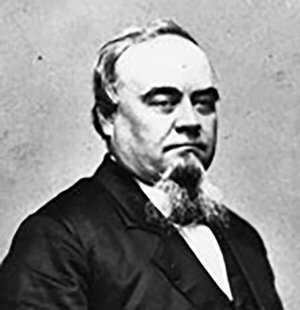 Later that year, then-Governor Stanford appointed Crocker Chief Justice of the California Supreme Court. The nomination caused a scandal in the local press, which was wary of the conflicts of interest sprouting in Sacramento. Central Pacific engineer Theodore Judah was also shocked; the appointment only underscored the moral laxity of partners he increasingly distrusted. Crocker took up essentially permanent residence in the Central Pacific office on Sacramento's K Street. For the next six years he managed the business. It was a monumental effort, too much for any one man, but he went it alone. Although Stanford and Hopkins were in Sacramento, they left Crocker to his responsibilities. These included: administering supplies, supervising public relations, negotiating Central Pacific holdings, recording the progress of construction, second-guessing local government, keeping track of the diverse and often contradictory actions of his partners, and maintaining a voluminous correspondence with Huntington in New York. Crocker was the first to investigate the manufacture of nitroglycerin. It was also he who organized a formal financial structure for the Associates when their endeavor grew too big for casual partnership. Despite his burdens, Crocker was the Central Pacific's greatest cheerleader. He possessed an optimistic streak and an iron will, with which he constantly rallied his partners forward. 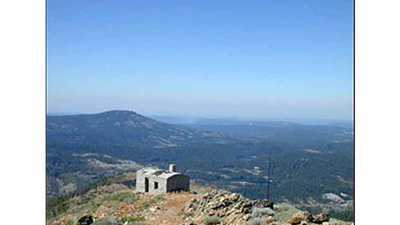 Crocker's was neverending, taxing work, and it accumulated to deleterious effect as the Central Pacific raced to Utah. In April 1868 Crocker faced a typical crisis. That year the Central Pacific looked like it might stretch to the Great Salt Lake, but a mounting iron shortage slowed progress. His brother's crews laid what iron remained with great efficiency, but Huntington could not send sufficient amounts of fresh rail. Exhausted, troubled, Crocker fell victim to a stroke. Or, as he told Huntington, "I have had a slight attack of paralysis." His physician ordered him out of the office; apologizing profusely to his partners, Crocker complied for two weeks. When he returned, the weight of responsibility was crushing. He wrote, "The detail of our already immense business falls heavily on me, & I am breaking down under it." One month after the last rail was spiked at Promontory Summit, Crocker suffered a second debilitating stroke while directing Central Pacific business in San Francisco. Unable to move or speak, he did not recover, and illness would plague him until his death in 1875. In 1870 Charles Crocker announced that he and his sickly brother wanted out. The announcement shocked the partners, for it threatened their autonomy at a difficult time, and it dissolved the stalwart alliance that had seen the road to completion. The Associates paid $1.8 million to keep the Crockers' shares of Cental Pacific assets within the original partnership. The brothers held onto their stock. Bookkeeper Hopkins especially loathed losing the "fortune of a vast sum, and a reasonable expectation from Central Pacific stock of many million more, so yoked with our interest in like property that we must realize to them their expectations, or do worse for ourselves." The remaining partners felt betrayed by the dissolution. But E. B. Crocker deserved to cash his winnings; he'd shepherded the partners to their goal at the steep expense of his good health. He spent those earnings on European trips and an art collection, but it was not many years before the illness which immobilized him cut him down. 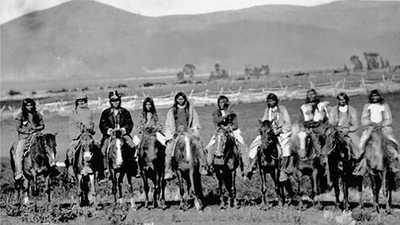 Donald Fixico, Thomas Bowlus Distinguished Professor of American Indian History and Director of the Center for Indigenous Nations Studies at the University of Kansas, talks about the West before white settlement.